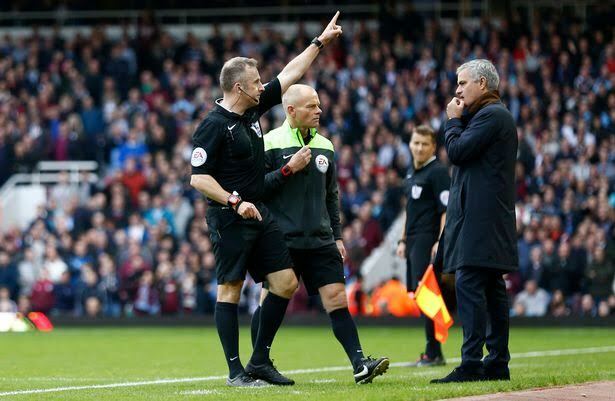 Following the latest incident with Chelsea manager Jose Mourinho being sent to the stands for arguing with referee Jon Moss in the 2-1 loss against West Ham many senior players at the club feel that it is now only a question of time before the Portuguese manager is fired. According to the Daily Mirror their dressing room source says that while there has been no rebellion against Mourinho the players are concerned over his behaviour, and especially so the latest incident in which the 52-year-old swore at referee Jon Moss for his red card against Nemanja Matic, a decision most of the Blues players thought was deserved, and that the referee had done his job correctly. With rumours flying as to what the future hold for Mourinho there is already talk of him going to Paris Saint-Germain or Inter Milan. One Spanish publication claims that he has already been approached over the possibility of taking over at Ligue 1 side Monaco, a club that might appeal to the former Porto boss as it would make a nice home for the £30 million plus payoff he would receive from Chelsea should the club decode to cut him loose.